I am late again for the weekly photo challenge – RARE. This is what the beginning of the school year does to teachers! You get distracted, only focused on lesson plans, and catering for hundreds of students each day. Everything else goes on a back burner for a while. Nevertheless, I wanted to post this for last week’s challenge. We witnessed a gorgeous miracle in our garden one rainy morning. 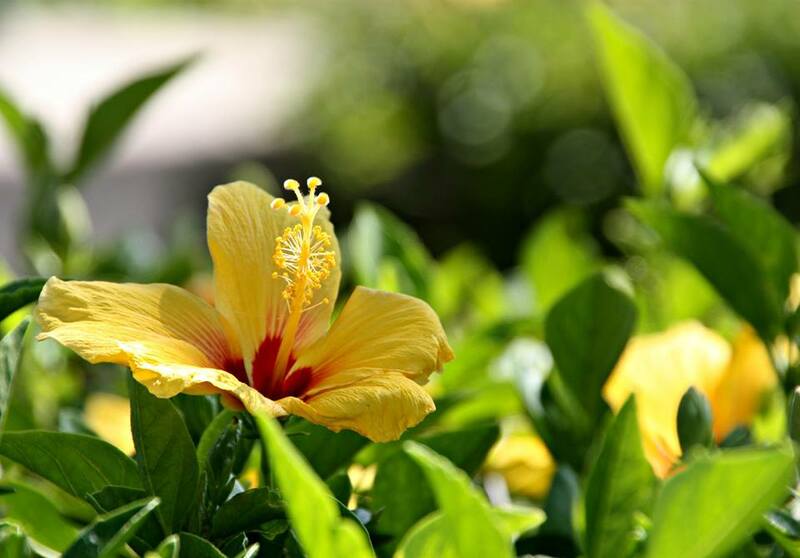 At the beginning of summer, my hubby had purchased a hibiscus cheap on a sale, and planted it in a flower plot. It stayed green all summer but showed no signs of doing much else. We more or less forgot all about it. Until, this one morning, one beautiful, beautiful red bloom had opened, and we noticed several other buds on it. It’s been producing one new bloom almost daily now for over a week! Really rare for us. 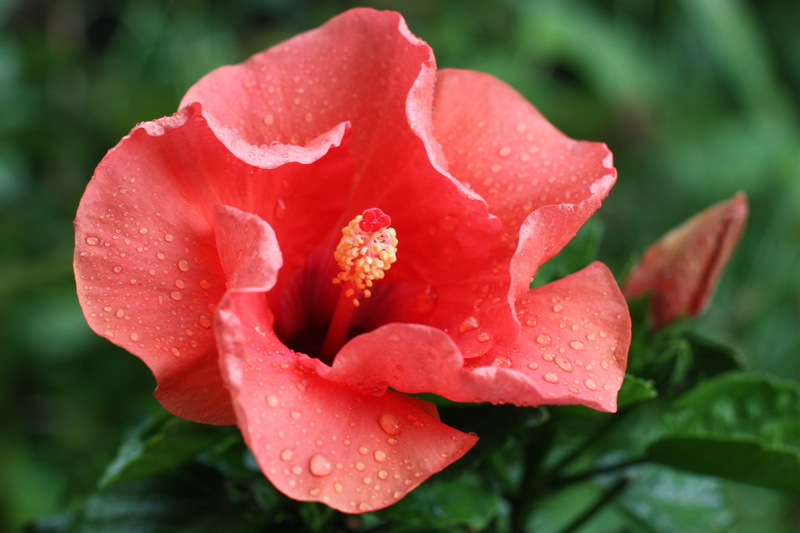 Can’t resist posting a few hibiscus flowers from our trip to Hawaii in February 2015. Contrary to the cold north here in Finland, they grew naturally in bushes there and were so common that we kept seeing loads in all different colours every day. Categories: Life | Tags: beauty, flowers, garden, photography | Permalink. 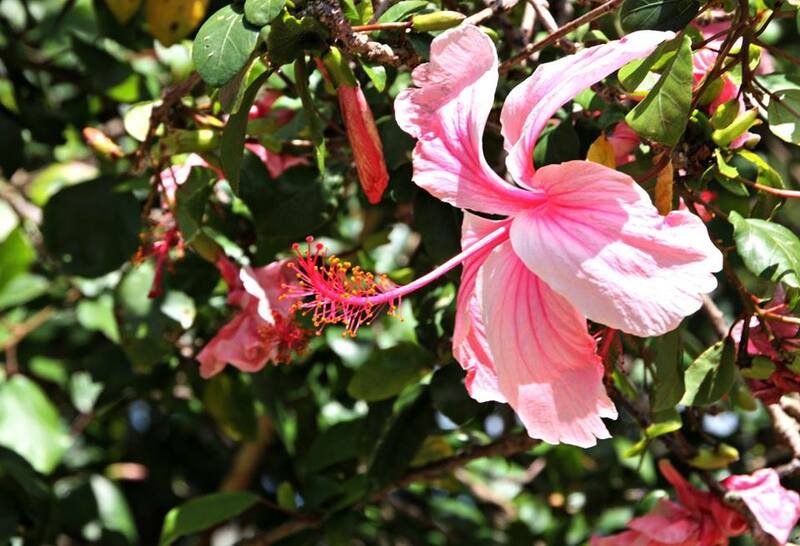 Hibiscus are so beautiful and exotic looking ! What a beautiful and wonderful surprise.